An Indian Bengal Tiger named Ustad (T24), who lived in Ranthambhore National Park and is being held responsible for killing a forest guard on 8 May, another in 2012, and said to have killed 2 villagers who ventured into his territory, has been moved 400 km away to a sanctuary where it was reported he has injured himself trying to escape. Numerous people are divided in whether or not Ustad has been treated unfairly or if he truly is a dangerous tiger…. The fact is all Tigers are dangerous, some are more territorial and dominant than others. To underestimate a Tiger is the biggest mistake that can be made. T24 (Ustad). Magnificent specimen. photographed by Bobbie Jamwal last year. 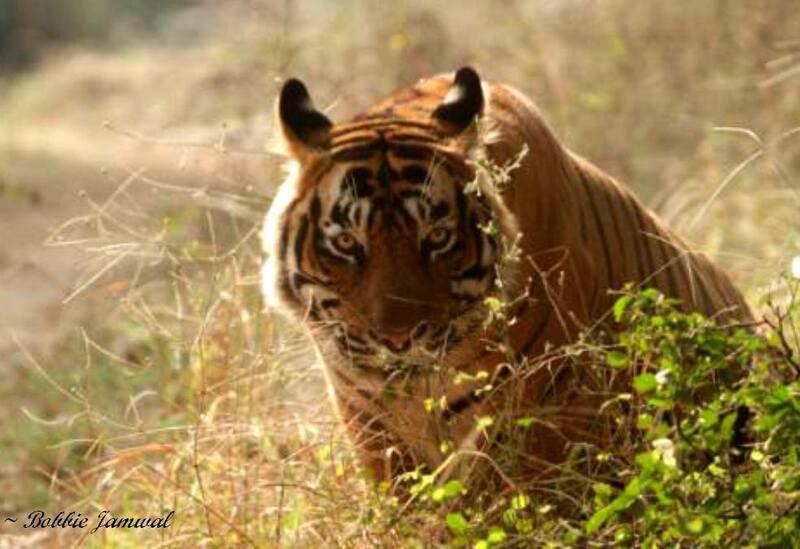 Ustad is known to be an incredibly beautiful, strong and dominant male Tiger. 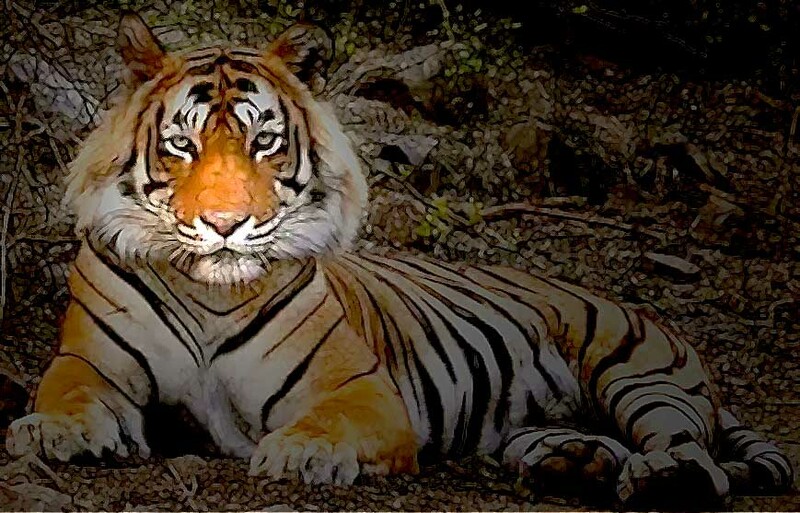 India is the land of the Bengal Tiger, but if a Tiger behaves as a Tiger does in an ever decreasing landscape with huge over population problems and lack of prey, and management, then dangers will exist between humans and Tigers. Our hearts and compassion go out to the families and friends of those who have lost their loved ones. On the 19 May 2015, Cee4life wrote to the NTCA and other conservationists regarding the fate of the ever-increasing so-called “man eaters” or “problem tigers”. We will post that letter into the public soon. If these situations continue to occur, there must be another solution for these “problem tigers”. You cannot just lock them up in unethical conditions with an “out of mind out of sight” mentality..
Ustad deserves to be free, to be with his family. Is is heartbreaking and cannot be allowed to happen. Please, for the love of the tiger, free him and send him back to Ranthambhaore! Tiger T 24 Dear Ustad is innocent and targeted without any fault.There is big and dirty conspiracy and motive behind this illegal mission.Please help him back to his family and natural habitat.